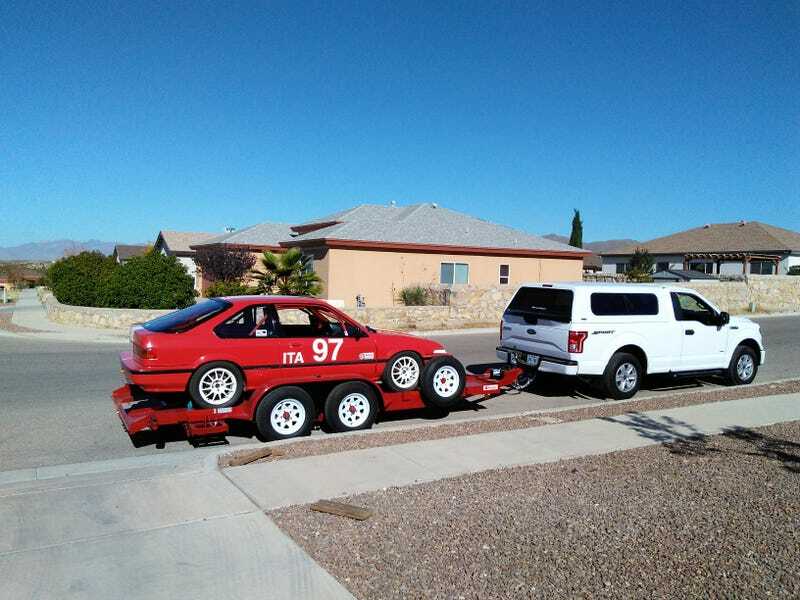 Since I have a seat for the car again, I decided to pull the trailer out from the side yard and test how the ramp and tie down situation works out on the new trailer. I wasn’t willing to drive the car up on a brand new trailer while sitting on an upside down bucket. It seemed like asking for something unfortunate to happen. The trailer is completely useable as is, but I now know where I’ll add some D-rings to it for the tie downs. I then took it for a short tow of about 50 miles to try out the whole set up. It tow really, really nicely, and the factory integrated brake controller is goddamned awesome. I’m going to enjoy owning a trailer both has enough axles and isn’t a rusty piece of crap.